I am involved with Palmer Park Velo Racing Team, Reading and Newbury Road Club on a volunteer basis. I also regularly run sessions for groups at various venues from beginner to advanced. I am a British Cycling Level 3 Road and Time Trial and Track Coach and Level 2 Cyclo Cross Coach. 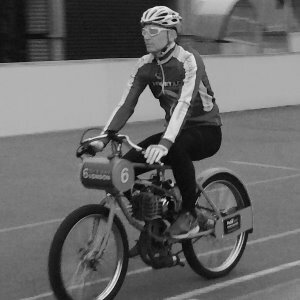 I am also a British Cycling 'B' Accredited Derny Pacer for training and racing. Success. Coach Chris Boulton has been notified of your message.